The Desire Map started out as a book, written by Danielle LaPorte (*). From there, it became the driver of over 500 book clubs around the world. … which is why, I’m taking my passion for The Desire Map one step further. 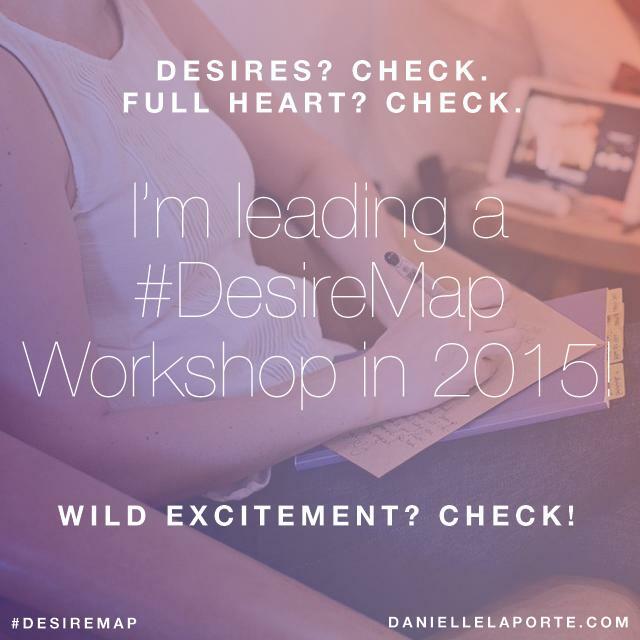 I have become an Official Licensed Facilitator of The Desire Map. Woot! Preparations are underway for my first workshop, which will take place in March 2015. Want to be the first to know? Click HERE to get my email newsletter! Want to learn more about the Desire Map? Click here to buy the book! (*) So here’s the deal: when you click on my links to Danielle’s site, are affiliate links, meaning that if you make a purchase, the price is the same for you, but I get a commission. Thanks in advance! And I look forward to hearing from you about your journey with The Desire Map.